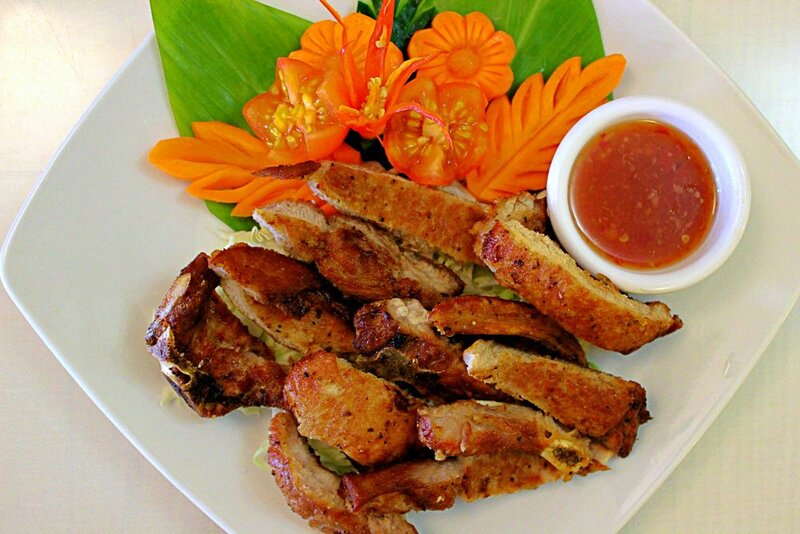 Located off Kamehameha Highway, Thai Bistro Suksabay serves authentic Thai food in a relaxed environment. Thai Bistro Suksabay is located in the Pearl Kai Shopping Center in Aiea. There is plenty of free parking available for customers. Join us for lunch or dinner in a comfortable, casual and friendly environment - or - place your order to-go. We look forward to serving you the best neighborhood Thai cuisine on the island. We've consistently received excellent reviews on Google, Facebook and Yelp. Our vegetables come from local farms and are delivered fresh daily. We're BYOB and have vegetarian options.